By collaborating with local and state agencies and organizations with a similar mission, the Delaware PTA seeks to advance the education, and support the concerns of students with special needs. Special needs or the term exceptional encompasses physical or cognitive impairments that substantially limit one or more major life activities, including but not limited to physical disabilities, learning disabilities, intellectual disabilities, ADHD, autism, or emotional disorders. 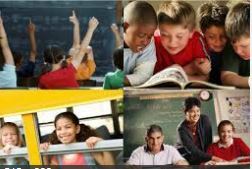 The term also includes the special issues faced by gifted children. This committee operates in multiple areas including legislative advocacy, education & awareness of parental rights under IDEA, IEP meeting supports and trainings. Currently seeking a Committee Chair!